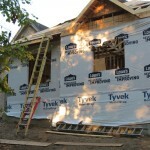 Are you in the planning phases of a home addition project on your Ohio property? Home additions are usually the only way to add more liveable space to your property. 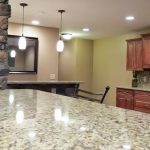 If you aren’t fortunate to have a large unfinished basement that you can remodel for the extra space then building on a home addition is going to be your only option. There are several different types of additions that can be added onto an Ohio home. Your addition could be as simple as increasing the size of a specific room, like a master bedroom or a childs bedroom for example. Or your home addition could be as complex as building out an additional 2000 sq ft or more of new space such as a shop with living space above. In some cases it’s even possible to add another story to your home if you don’t have the room to build “out”, you can always go up! Home additions are generally one of the more expensive home improvement projects because of all the additional work involved but they do offer a great return in the increased property value and the additional space and use you’ll get out of your home. In the case of a rental addition or sutie, it’s possible for the addition to pay for itself in a few short years if you can find a steady tennant. Many homeowners are going this route with what is often referred to as a “mortgage helper” suite. 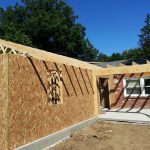 No matter which option you decide to go with for your home addition there is going to be the entire collection of trades working on your home. Framing, electrical, plumbing and HVAC, roofing and siding are all services you’re going to require at some point during the project. This is where many homeowners would agree that working with a local professional contractor who specializes in home additions is their best option. Building a Room “Bump Out” Addition – This is just a very small addition to a single room in your home. Maybe you’d like to have a small walk-in closet off your master bedroom, or a little more space in a bathroom. This is where a bump out room addition could be an option for you. Adding anywhere from 50 – 150 additional square feet to a section of your home. If you only need a tiny bit of extra space, then a bump out is a good option but don’t mistake of thinking because it’s small it’s going to be cheap! There is still a lot of work involved. Expanding a Single Room – Not quite as small as a bump out, not quite as big as a full blown multi-room home addition, a room addition will simply add-a-room or expand the space in an existing one. Often the addition will be for a living room, kitchen or an additional bedroom or even a home office. Plumbing may or may not be required, electrical work most certainly will, as well as all your exterior trades such as roofing and siding. Whole Home Addition – Whole home additions are much larger in scale than your room addition. An entire home addition is essentially that, building a “mini home” onto your existing one. Often whole home additions will include a kitchen, bathroom, bedroom, and are often designed as a self-contained separate living space. These projects are much larger in scope and scale and will require the services of a competent building contractor who can manage and organize all of the sub-trades through to completion. Your whole home addition might require foundation work to be done, will require plumbing, electrical, drywall, painting, HVAC, roofing and siding. If you have the need for more space adding an additional 1200+ sq ft to your home is a possibility. Adding A 2nd Story To Your Home – Often the only option for homeowners with a cramped city lot is to “build up”. And with the services of a competent building contractor it’s definitely a possibility. Your local bylaws and building codes will ultimately determine the feasibility of this project. But don’t get discouraged; contractors work through the red-tape all the time and can help you make sense of the situation. Converting Your Garage Into Living Space – If you have a garage you’re not really using (it’s just full of junk) then you also have the possibility of converting this into new living space. Often wiring is already in place and plumbing not that far off. There is already a roof and at least 3 walls so for addition potential, the garage has a lot going for it. What Will It Cost To Build an Addition On My Ohio Home? This is probably the most important question any homeowner has about their upcoming home addition. “What’s it going to cost!”. That’s a really hard figure to give out over the Internet. To give you a very rough idea on construction costs you could expect to pay anywhere from $125-$225 per square foot of “finished” space. For examples sake, let’s say you’d like a larger master bedroom and you want to add 100 square feet of new space. If we assume you’re choosing mid-range priced materials we can safely say a rough cost of approximately $150 per square foot finished. So 100 x $150.00 is $15,000. You’re new 100 square feet of new space could cost $15,000 to add onto your home. This is just a rough ballpark to prepare you for the actual cost of a home addition. Your situation will likely be different. Why Choose The Ohio Home Doctor For Your Home Addition Project? When you choose the Ohio Home Doctor team to build an addition onto your home you are partnering with a small team of craftsman, all with the common goal of making your home a better place. Every employee strives to be the best he or she can be and will treat your home as if they were working on their own. We keep a clean, safe work area and we’ll bend over backwards to accommodate you during the remodeling of your home as we know it can be inconvenient at times. In the end we promise you’ll be happy with the results and how we’ve improved your home. If you’d like to receive an estimate to build an addition onto your home please give us a call 937-605-6882 or fill out our contact form and we’ll get right back to you.